Kommersant publishes interviews with people from Chepiga’s home village. The article makes clear he has not been seen there for many years. It states that opinions differ on whether Chepiga is Boshirov. One woman says she recognised Boshirov as Chepiga when he appeared on TV, especially the dark eyes, though she had not seen him since school. Another woman states it is not Chepiga as when she last saw him ten years ago he was already pretty bald, and he has a more open face, although the eyes are similarly brown. Naturally mainstream media journalists are tweeting and publishing the man’s evidence and leaving out the woman’s evidence. But the Kommersant article gives them a bigger challenge. Kommersant is owned by close Putin political ally, Putin’s former student flatmate, Chariman of Gazprominvestholdings and the UK’s richest resident, Alisher Usmanov. That Russia’s most authoritative paper, with ownership very close to Putin, is printing such open and honest reporting rather belies the “Russia is a dictatorship” narrative. And unlike the Guardian and BBC websites, on Kommersant website ordinary Russians can post freely their views on the case, and are. One thing this does stand up is that Chepiga definitely exists. The evidence mounts that Russia is not telling the truth about “Boshirov” and “Petrov”. If those were real identities, they would have been substantiated in depth by now. As we know of Yulia Skripal’s boyfriend, cat, cousin and grandmother, real depth on the lives and milieu of “Boshirov” and “Petrov” would be got out. It is plainly in the interests of Russia’s state and its oligarchy to establish that they truly exist, and concern for the privacy of individuals would be outweighed by that. The rights of the individual are not prioritised over the state interest in Russia. But equally the identification of “Boshirov” with “Colonel Chepiga” is a nonsense. 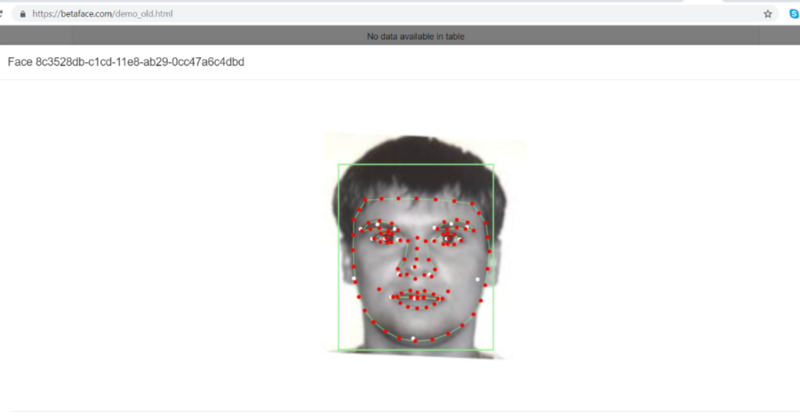 <a href=”http://Betaface.com” rel=”nofollow”>Betaface.com</a>, which runs industry standard software, gives the faces an 83% similarity, putting the probability of them being the same person at 2.8%. To put that more simply, his nose is much shorter, and less certainly his eyes are further apart. It is possible this could happen in photos but it still be the same person. The head would have to be tilted backward or forward at quite a sharp angle to alter these ratios, which does not seem to be the case. The camera could be positioned substantially above or below the subject, again not apparently the case. And the photo could be resized with height and width ratios changed. That would hard to detect. But the three white dots across the bottom of the nose are particularly compelling (the middle one largely obscured by a red dot in the Chepiga photo). They illustrate that Chepiga has a snub nose and Boshirov something of a hook. 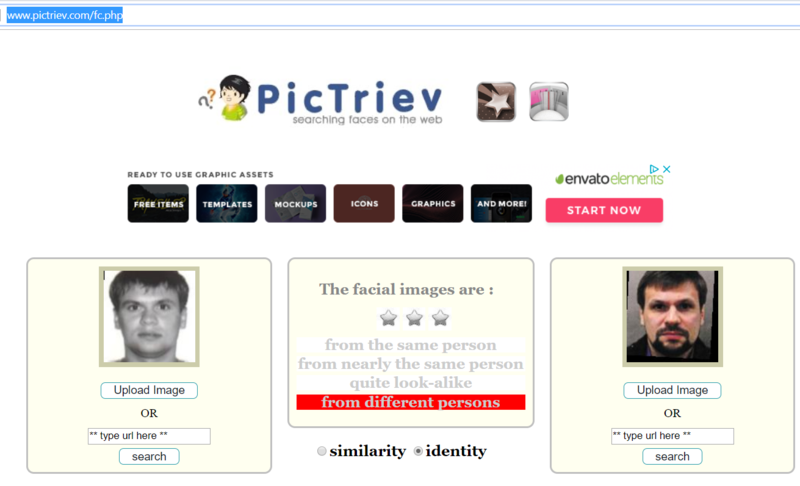 Again, the software is reinforcing what they eye can plainly see. However, there are also other ratios that are different. 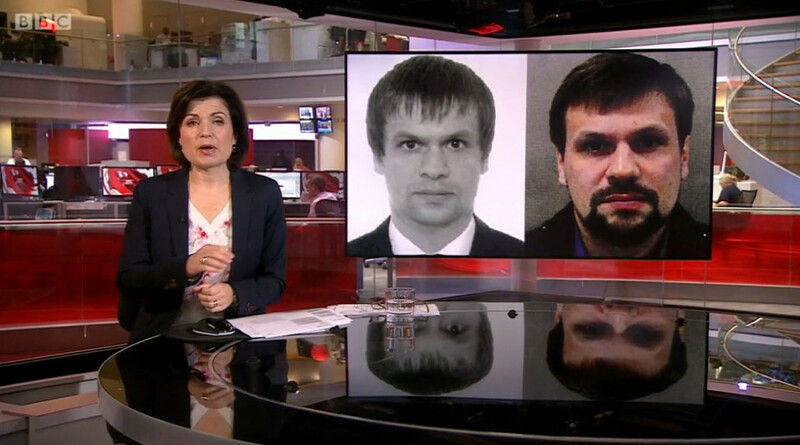 Chepiga has a narrower mouth compared to the distance between the pupils than the two photos of “Boshirov”, and that is measured on the same plane. The difference is 100-80 compared to 100-88. It is a ratio that can be changed by facial expression, but this does not seem to be the case here. Professor Dame Sue Black of the University of Dundee is the world’s leading expert in facial forensic reconstruction. I once spent a fascinating lunch sitting next to her, while I was Rector. 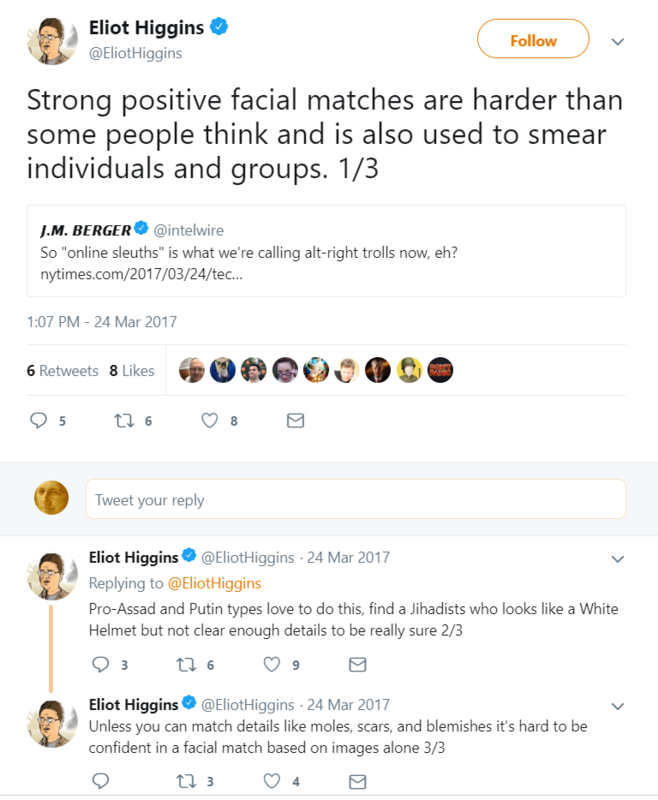 I shall contact her for her view on whether the guy on the left is the same person, and if she is kind enough to give me an opinion, I shall pass it on to you unadulterated. 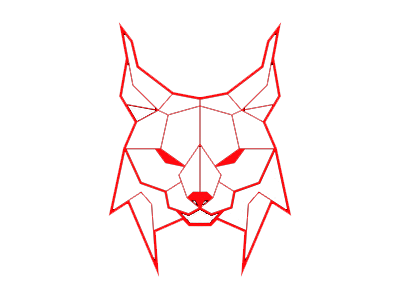 This website is less definitive, but gives a nice clear result, and you can repeat it yourself without having to subscribe (unlike <a href=”http://Betaface.com” rel=”nofollow”>Betaface.com</a>). Again for comparison, I tried two photos of myself 12 years apart and got “from nearly the same person”. The podium was top-notch in October 2012, shortly before the elections in Ukraine – with former EU Commission President, former Polish President and MEP and former Austrian Chancellor. Romano Prodi, Aleksander Kwasniewski and Alfred Gusenbauer discussed in Berlin about “Ukraine and the EU: elections, integration and economic problems”. The event was initiated by the European Center for Modern Ukraine (ECMU) based in Brussels. That this think tank is actually set up at the behest of the Ukrainian government by Viktor Yanukovich, which is not apparent. Nor that the three gentlemen on the podium were actually paid to make a political mood, namely for a rapprochement between Ukraine and the EU. They were part of the so-called Hapsburg Group and toured Europe with this message between 2012 and 2014. Yanukovych is open. Gusenbauer thought he had received his fee from a US company, he told the BBC in February , when the charges first came up. This company in turn was commissioned by Paul Manafort, later campaign manager Donald Trumps. This is now documented in Manafort’s confession to special investigator Robert Mueller last week. It leaves no doubt that the Hapsburg Group existed and its activities were financed by the Yanukovych regime – with or without the knowledge of those involved. Manafort founded it in 2012 with the aim of “gathering a small group of high-profile, influential European leaders and politically credible friends who can act informally and without any visible relationship with the Ukrainian government.” Secrecy was part of the plan: the “independent experts” would speak for Yanukovych, and talk down the proceedings surrounding the incarcerated Yulia Timoshenko. In the end, the work was unsuccessful – the approach failed, Yanukovich was overthrown after protests at the Maidan in 2014. Altogether should be flowed between Manafort and Yanukovich 60 million euros, by black money and money laundering. Manafort paid two million euros to the Hapsburg Group in 2012 and 2014 through at least four offshore accounts. In order to circumvent the European tax, it was “wrongly stated in the contract with the Hapsburg Group that their activities would not take place in Europe,” states the confession. Paul Manafort was the innocent victim of a conspiracy – as US President Donald Trump had been emphasized. Manafort himself wants to be much more difficult for the US president, because on Friday someone voiced his reproaches, who must know. He pleaded guilty to a court in Washington, DC. From Trump’s point of view, probably even worse: his former shop steward has concluded a deal with Russia’s special investigator Robert Mueller. The deal is about informant activity, the transfer of documents and statements. Trump’s defense team seems to have been surprised by the cooperation with Mueller. Just before the court hearing, Rudy Giuliani, the president’s lawyer, “The president has done nothing wrong and Paul Manafort wants to tell the truth.” A little later, the cooperation agreement was announced, whereupon Giuliani sent a new statement. “The President has done nothing wrong,” is only read in it – without reference to Manafort. In the present “Information” – the text of the indictment, whose contents Manafort by confession referred to as true – is again from the “Hapsburg Group” the speech. It is the lobby group of European politicians, speculated by the US media, even Austria’s ex-chancellor Alfred Gusenbauer heard her. This denies. mikenova shared this story from www.panolawatchman.com – RSS Results in opinion of type article. We take the Bible as our guide, rule and practice in the C.I.A. (Comprehension, Interpretation, Application) approach to studying the Bible. Our focus changes the way we understand the Bible. We look first on what a scripture can teach us about the character of God, allowing self-discovery to be the by-product of God-discovery. This is a much better approach because here can be no true knowledge of self apart from knowledge of God. Thus knowledge of God leads to true knowledge of self, which leads to repentance and transformation. Paul, in Romans 12:2, indicates “Do not conform any longer to the pattern of this world, but be transformed by the renewing of your mind. Then you will be able to test and approve what God’s will is—his good, pleasing and perfect will.” Most of us are good at loving God with our hearts. We are good at employing our emotions in our pursuit of God. Comprehension: Reading for comprehension will allow us to test our knowledge of what we have read. The objective is to help us read for detail. When we read for comprehension we ask ourselves, “What do the scriptures indicate or reveal?” A person who comprehends the scriptures can tell specifically what happened and how we can relate to it. This is the first step toward being able to interpret and relate to the meaning of the scriptures. Interpretation: While comprehension asks, “What do the scriptures indicate?”, interpretation asks “What does it mean?” Once we have read a scripture enough times to know what it says, we are ready to look into its meaning. A person who interprets the scriptures can tell us what it means and how we can relate to it in everyday life. Application: After doing the work to understand what the scripture says and what the scripture means, we are finally ready to ask, “How should it change us?” What is the central theme or thought of the scriptures? Here is where we draw on our God-centered perspective, as we encountered the C.I.A. What does the scripture teach us about God? What is the main or central theme or tendency as we relate to reading of the scriptures? How does this aspect of God’s character change my view? What should I do in response or what action should I take? Knowledge of God gleaned through the study of the Bible and the C.I.A. can help us be better disciples of Jesus Christ. BERLIN — Efforts by Jews to form their own group within a far-right German political party have been met with criticism from the country’s leading Jewish organizations. The move among members of the group, the Jewish Alternative for Germany, comes amid a spike in anti-Semitic incidents in the country. With some of the attacks coming from Muslims, some Jews have thrown in their lot with the party, known as AfD. 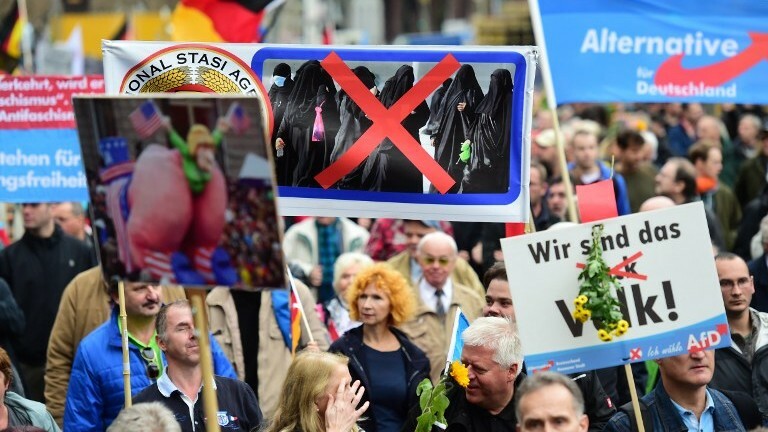 “The AfD is the only party in Germany that focuses on Muslims’ hatred for Jews, without playing it down,” Dimitri Schulz, who is Jewish and joined the organization in 2014, said in a policy statement defining the new group’s purpose. Many of the country’s traditional Jewish organizations are critical of any alliance with the party. They point to its embrace of nationalist and populist positions and a push by several prominent members to abandon Germany’s culture of remembrance and atonement for its Nazi past. And last year, another prominent AfD member questioned Germany’s culpability in World War II and the Holocaust — calling on Germans to make a “180 degree” turn in the way they viewed their history. Germans, he said, were “the only people in the world to plant a monument of shame in the heart of their capital,” referring to the Holocaust memorial in Berlin. A spokesman for Alternative for Germany said Wednesday that an initial meeting of the new Jewish group might convene on Oct. 7. That would be just weeks before elections are held in Bavaria and Hesse, states where the party is hoping to break into the regional legislatures. Mr. Schulz is seeking a seat in Hesse, where the party hopes to make inroads in one of the traditional strongholds of Chancellor Angela Merkel’s Christian Democrats party. Together with Wolfgang Fuhl, a Jewish party member from the southwestern state of Baden-Württemberg, he is hoping to attract 20 founding members to the group. Like a majority of the nearly 100,000 Jews who make up the German Jewish community, Mr. Schulz was born in the former Soviet Union. He moved to Germany as a child. Mr. Schulz called into question the German government’s pledge to uphold Israel’s right to exist and described the AfD as the only party in Germany that still believes in traditional family values. “All of this contributes to the idea that an alliance of rightist conservatives in Europe is closely associated with Judaism,” he said. He noted a similar recent shift in France, where the far-right National Front party has begun attracting Jews. On his Facebook page, Mr. Schulz argues for fighting anti-Semitism in sports, and circulates reports of local Jewish clubs reporting an increase anti-Semitic remarks and attacks, especially from recently arrived Muslims seeking asylum in Germany. The head of Germany’s Central Council of Jews, Josef Schuster, has said that the AfD has been actively seeking to recruit Russian-speaking Jews. Member of the council fear that their warnings about the dangers of far-right populism are having little effect. “Unfortunately, I have the impression that the AfD’s simple answers are attractive to some people from the former Soviet Union, including Jews,” Mr. Schuster told The Jüdische Allgemeine, a German-language Jewish newspaper. mikenova shared this story from SPIEGEL ONLINE – Schlagzeilen. mikenova shared this story from The Local. According to the ‘Deutschlandtrend’ survey published by German broadcaster ARD, the SPD would take 17 percent of the vote, putting them third. The Christian Democrats and its sister party the Christian Social Union (CDU and CSU) would achieve 28 percent of the vote – their worst result since the ‘Deutschlandtrend’ poll started in 1997. Meanwhile, 9 percent of respondents of the survey would vote for the FDP, while the Left would receive 10 percent of the vote and the Greens 15 percent. Overall, the coalition government of Union and SPD would receive 45 percent of the vote – meaning that a grand coalition majority government would not be possible. Compared to the previous ‘Deutschlandtrend’ poll on September 6th, the Union and the SPD lose one percentage point each, the AfD increases by two percentage points, while the Greens and FDP each increase by one. The proportion of the Left has remained the same. The Union’s popularity dip comes against a backdrop of unsettled weeks, including unrest in Chemnitzinvolving xenophobic protests rallies after the death of a German man, allegedly by asylum seekers. The case of Hans-Georg Maaßen, who led Germany’s domestic intelligence agency, but was pushed out of the job and given another role in the Interior Ministry has also been major news in Germany, and attracted fierce criticism from the media. Maaßen had questioned the authenticity of footage in Chemnitz, saying there was no proof that “hunting down of foreigners” had taken place, contradicting Chancellor Angela Merkel who had condemned the behaviour. Meanwhile, Federal Interior Minister Horst Seehofer (CSU), appears to have been harmed by his involvement in the dispute over Maaßen. Only 28 per cent of respondents said they considered him as a good Interior Minister, down from 39 percent in April. At the same time, the support for the 69-year-old is also dwindling considerably among Union supporters. Only 31 percent said they were still satisfied with his work, compared to 45 percent in April this year. 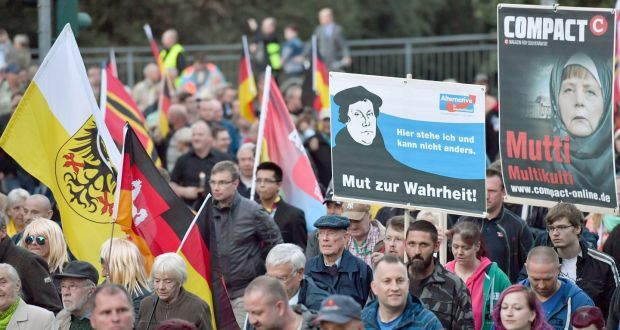 SEE ALSO: In depth – Is the AfD becoming too extreme? The supporters of all other parties are mostly critical of the current leadership of the Interior Ministry. But Seehofer scored significant points among the supporters of the AfD. The poll found 61 percent of them were behind him, largely due to his stricter stance on migration, including not allowing refugees already registered in another EU country to enter Germany. For the survey, Infratest Dimap polled 1,035 voters Monday through Wednesday and asked respondents to answer the questions as if Bundestag elections were taking place Sunday. Almost half of eligible voters (46 percent) believe that more money for social housing is the most effective public measure to ease the situation on the rental market. Every fourth citizen (26 percent) believes in the effectiveness of the rental price brake (rent control), while 13 percent of respondents said a stronger promotion of private housing would be useful. A total of eight percent said direct financial support to tenants through housing allowance would be an effective measure against accommodation shortages. mikenova shared this story from afd alternative for germany – Google News. AfD says German state, media favor the left — do they? Merkel ‘categorically’ rules out coalition with far-right AfD … share power with the far-right, anti-immigration Alternative for Germany (AfD) party. 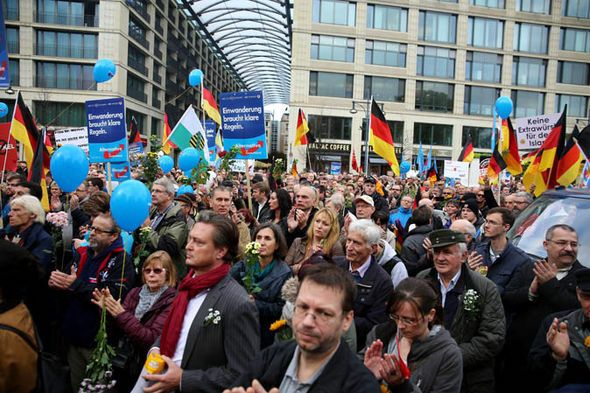 At one point the AfD’s 94 MPs staged a mass walk-out after coming under a … to make migrants into scapegoats for all of Germany’s problems. ‘Unacceptable’ for CDU to consider coalition with AfD in Saxony: … a coalition with the right-wing populist Alternative for Germany (AfD) open. 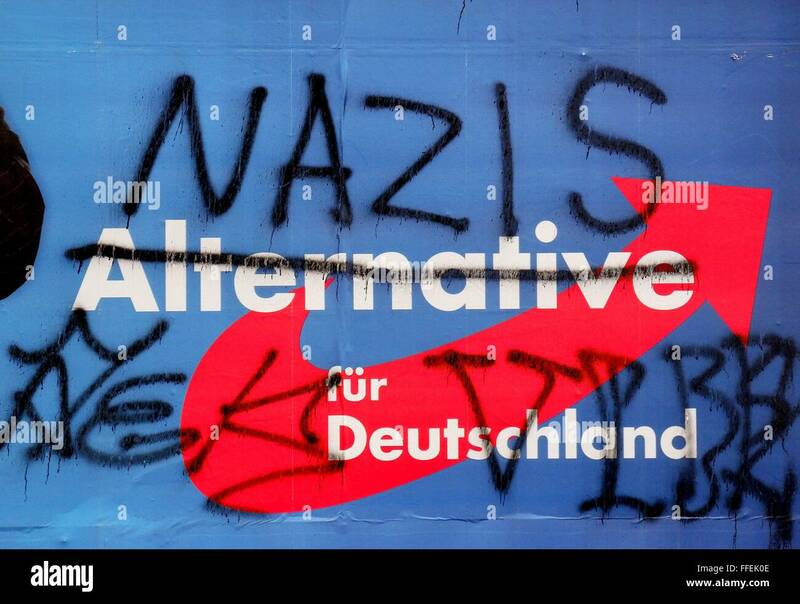 Alternative for Germany, also known as AfD, released the posters in the midst of its election campaign in the southern German state of Bavaria. Reality Check: Are migrants driving crime in Germany? Opinion: Keep your nerves Germany! 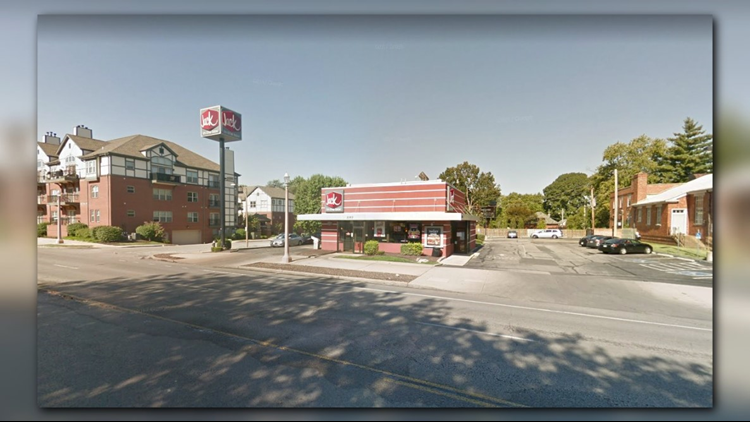 mikenova shared this story from Charles Wood Jr. – Google News.